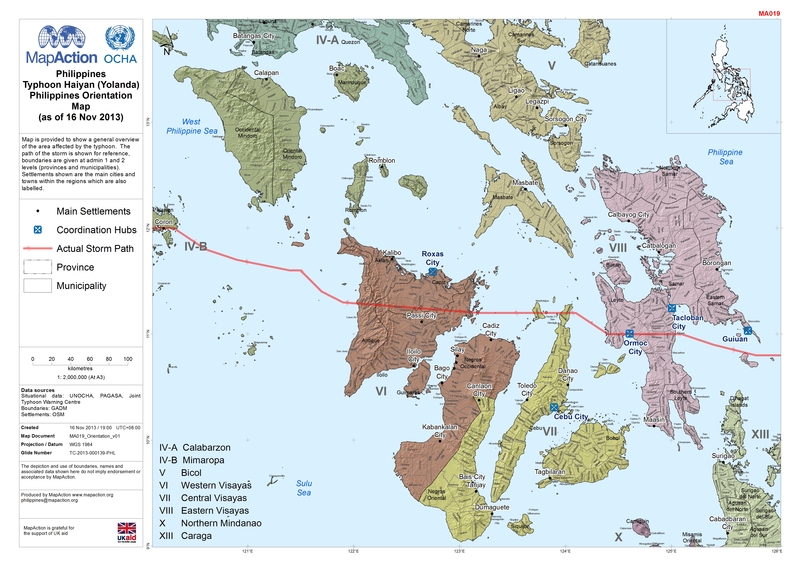 Map is provided to show a general overview of the area affected by the typhoon. The path of the storm is shown for reference, boundaries are given at admin 1 and 2 levels (provinces and municipalities). Settlements shown are the main cities and towns within the regions which are also labelled.